The FRPP Stage 1 Power Pack Upgrade Package will give your GT S550 up to 13 more peak horsepower and up to 40 lb-ft of torque at only 1500rpm. 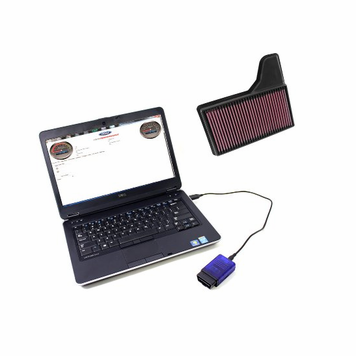 You will notice a huge improvement in your Mustang's off-the-line responsiveness with improved and enhanced throttle response and a performance feel. Automatic transmission calibrations feature an optimized performance shift schedule while manual transmission calibrations feature an exclusive ÒNo-LiftÓ shift strategy. The proprietary software will also allow rear gear ratio changes up to 4.09:1. Best of all, this incredibly versatile performance upgrade package is legal in all 50 states and features a CARB EO#. Please Note: Requires a laptop (NOT Included) and internet access for calibration installation.